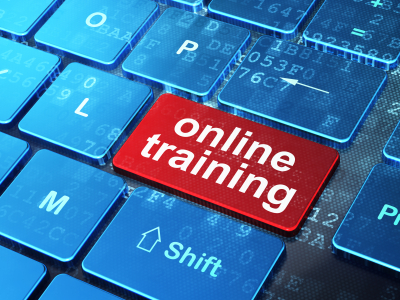 Today we'll try to provide you with information about Online Training Courses in Pakistan for Matric, Inter & Graduation 2019. After completing education everyone wants to start his/her career in the best way and join several academies and learning centers for learning and for the increment of their degrees in order to get a suitable job for future and to make their future bright. But nowadays this modern world has turned the students towards internet where one can find online courses easily because the scope of online courses has reached on the peak all over the world and now offering also in Pakistan. So those students who remain free after matriculation, intermediate and graduation degree they apply for these short training online courses in order to enhance their skills and knowledge as well. So these online courses are providing a number of courses of all kinds in Pakistan one can easily apply and learn all the tactics from them and get a good job and experience also in relevant fields. Names Of Courses: There are several sorts of courses for which students can apply after matric, intermediate and graduation online and seek knowledge. Here are the few diploma courses for which one can apply easily there is no age limit for them. These are the DAE Professional short courses available online through which students gain highly rich experience after matric, intermediate and apply for a job of his own. These are the different short courses in terms of hotel management which are offered also for interested candidates after matric, intermediate and graduated candidates can apply also. Here is the list of those courses which are basically related to computer knowledge. So these all courses are related to computer knowledge and one can apply and learn all the techniques in a good manner. Technical fields, Electrical fields and sectors as in Power Houses, Computer centers, Computer Technicians, Textile Mills, Laundries, Designing Department, Food Factories, Mechanical departments, Bakeries, Hotels and in ample of other places also. So easily one can apply for this by searching online websites.